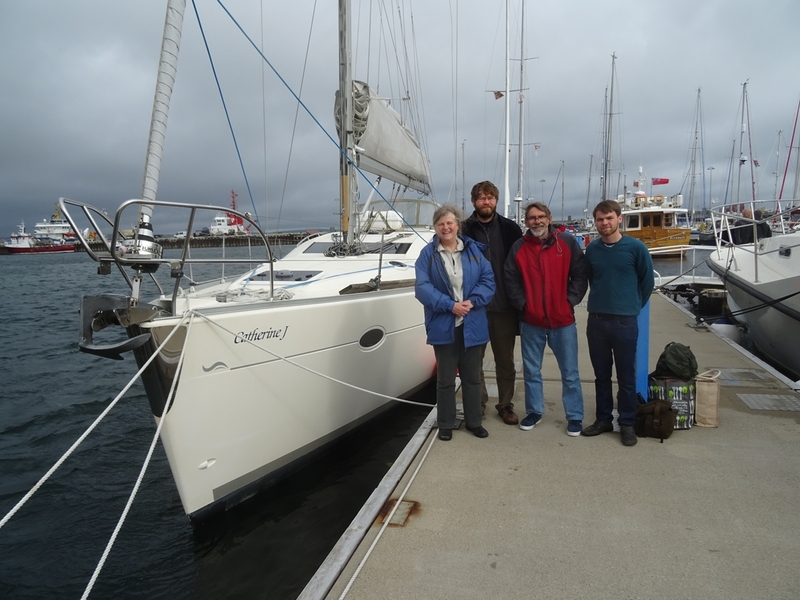 Here are some pictures from our sailing holiday in the Orkneys in 2016 in an Elan 434 Catherine J chartered from SailOrkney.com. 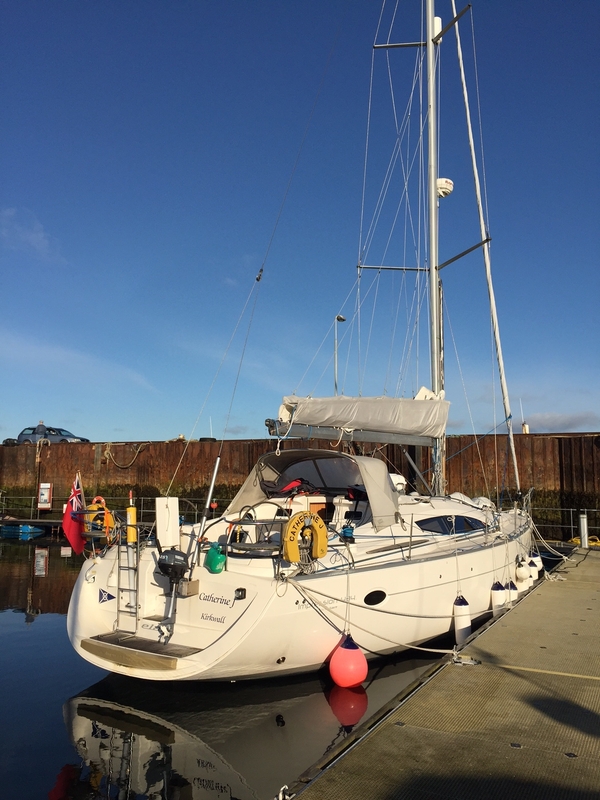 – a very comfortable and capable yacht too. 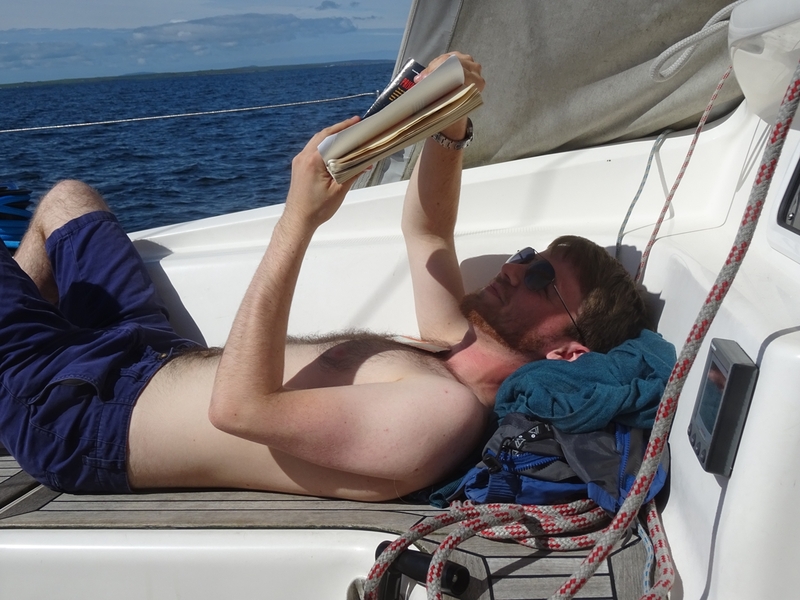 Sailing the Orkneys is challenging because its governed by quite strong tides that hardly have any slack water at all, often only 20 minutes during which time the flow reverses, and to complicate matters the timing of the slack water isn’t tabulated very accurately. Also where fast tide flows round headlands or through narrow channels it throws up turbulence that can get severe when the wind is against the tide, which on average it is almost half the time! When we first arrived we didn’t have a full appreciation of conditions and got a bit close to Mull Head and had our new binoculars washed overboard in a hairy moment. 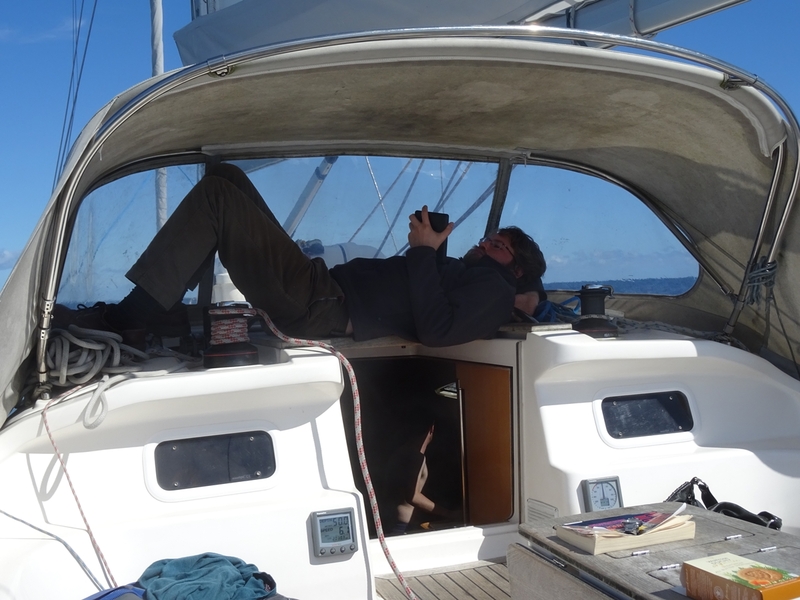 But for all that it was a fun place to sail, although we were pretty dependent on the engine, which turned out to push the boat along nicely at 6 to 7 knots even into wind and waves. Two tidal stream charts of the flow an hour apart! Notice that the flow through NW-SE through the islands reverses completley. Peaceful morning in Pierowall Harbour. Notice that every available fender is deployed – the calm is unusual to say the least. I’d almost forgotten that there was enough sun to sunbath one day – just the one thought! 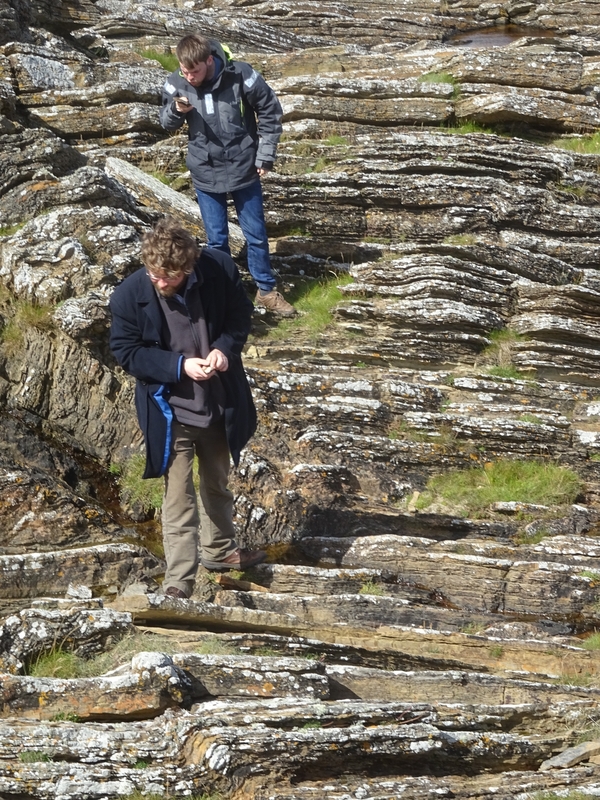 The Neolithic and Iron age structures all use this very laminated sandstone that forms most of the islands. It weathers to very fertile agricultural land – the Orkneys have the highest density of cattle rearing in Europe – many more cattle than people! These rocks are by the Tomb of the Eagles in South Ronalsay. 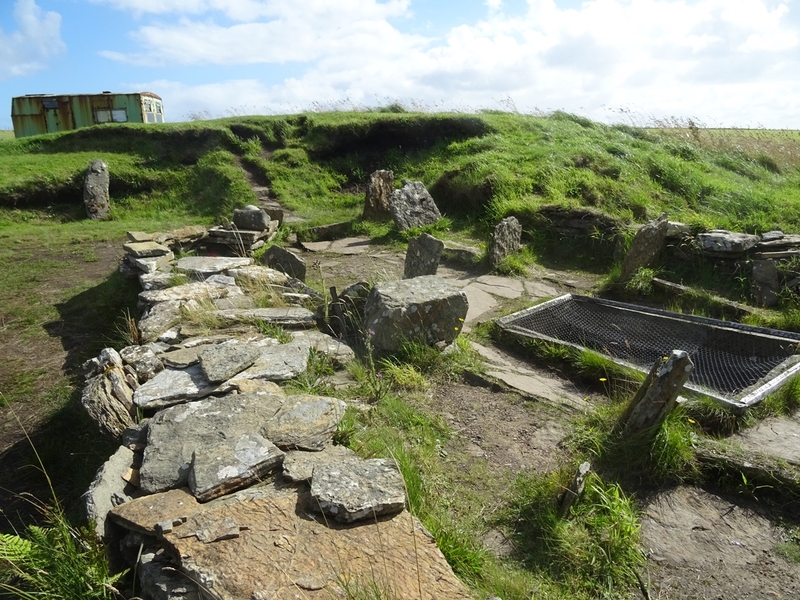 The Iron Age village and Brock at Gurness ( The Broch dates from the first millenium B.C. and the site was occupied at least until the 5th century A.D. by Orcasian Picts, but possibly longer by the Vikings.. The flat stones provide ideal building material for furniture, which has survived more or leas intact for thousands of years – giving us a very good idea of the interior of the dwellings. 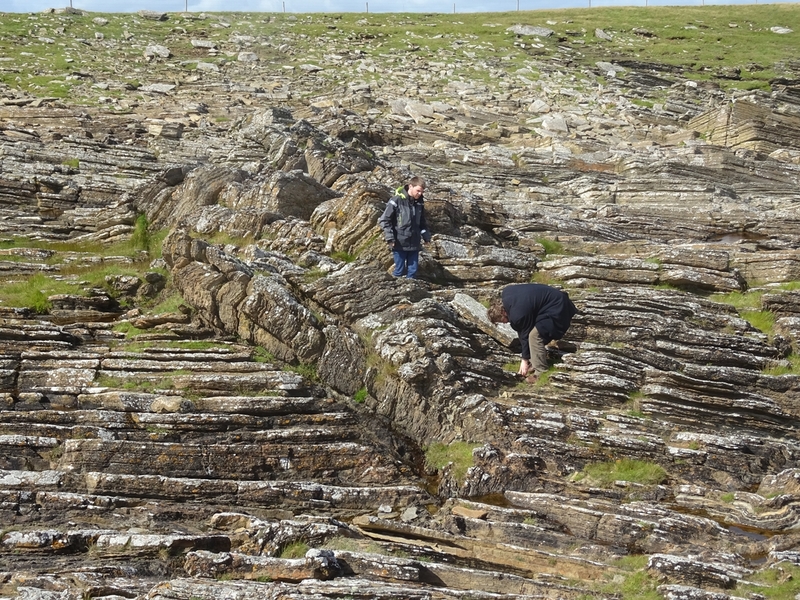 The ‘Burnt Mound’ by the Tomb of the Eagles on South Ronaldsay – was the pit a sauna or a giant cooking pot or w.h.y.? Your guess! 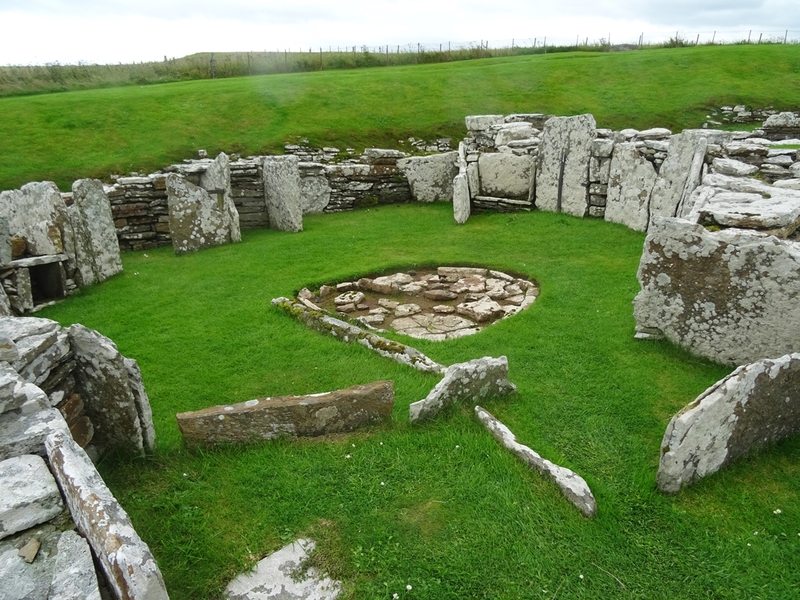 The site is privately owned and noticeably shabby compared to the Scottish Heritage sites. 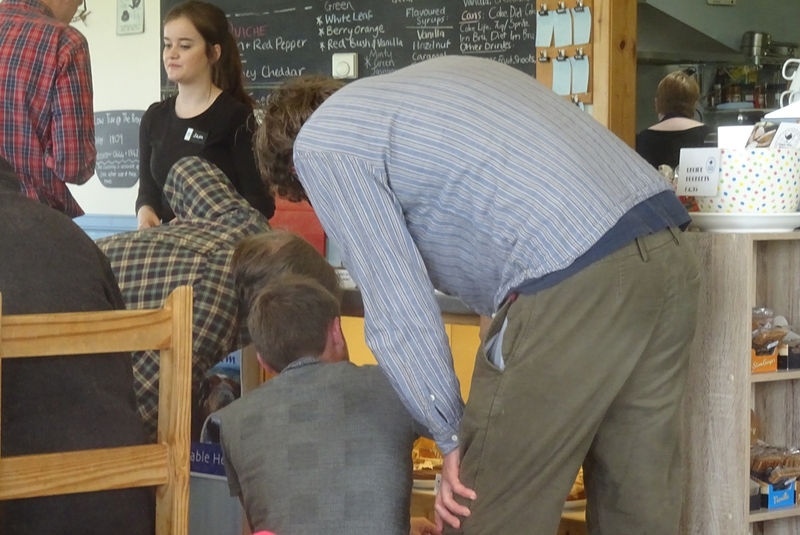 The crew is much interested in the display of cakes in the excellent cafe at Birsay on Mainland! End of cruise photo – alive and happy, but the sunny days are by now a distant memory after a week of storms and indifferent weather.